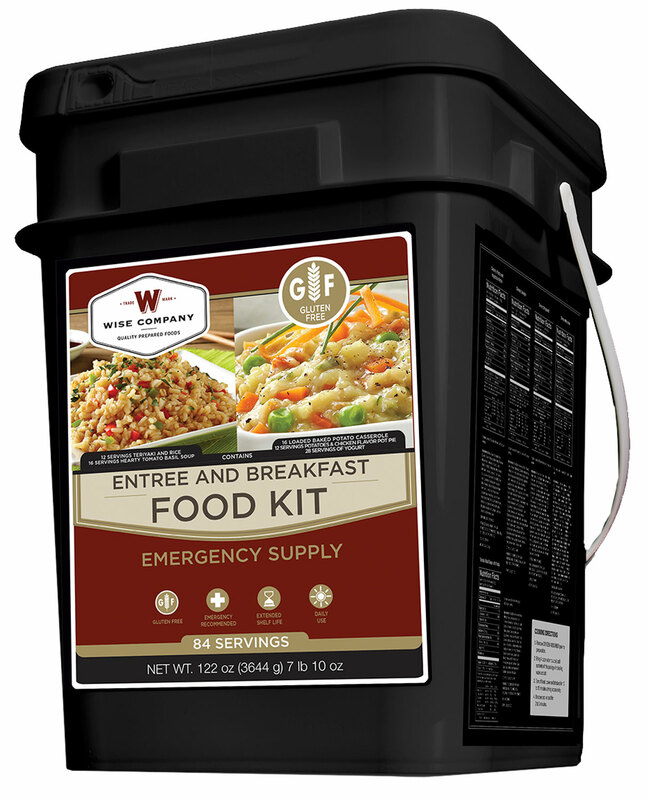 Wise Company provides dependable, simple and affordable food options for out of kitchen situations. With a wide variety of options for families and individuals interested in storing long-term foods in case of emergency, on a camping or road trip, or at the lease, you may never miss the kitchen at all. There is an assortment of great-tasting gourmet entrees, vegetables and fruits you and your family will love to eat. These ready-made, freeze-dried and dehydrated meals are nitrogen-packed in mylar pouches to maintain freshness and are prepared in minutes simply by adding boiling water.The 84 serving package comes with: twelve (12) servings each of Teriyaki and Rice, Potatoes and Chicken Flavored Pot Pie; sixteen (16) servings each of Tomato Basil Soup with Pasta; Loaded Baked Potato Casserole; twenty-eight (28) servings of Creamy Yogurt Style Dessert.